We love the Carolinas! 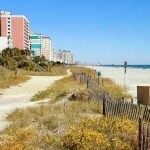 Our mission is to share local insight about South and North Carolina and all of its amazing vacation destinations. With a small team writing all about the various beaches up and down the coast, we’re eager to share our care and love all about the Carolinas. We accept guest posts and blogs if you have something great to share about South or North Carolina. Otherwise, feel free to browse the site and ask any questions you may have about the best place to vacation. We have teams of people dedicated to sharing all their best insights on family friendly destinations, party spots, fishing getaways, golf trips and more.